When are we getting those trains again? The Metro board has some doubts about railcar manufacturer CAF’s ability to keep its promises. Metropolitan Transit Authority officials expressed deep frustration as they got their first update Thursday on CAF U.S.A.’s revised schedule to deliver 39 new trains to Houston, meant to expand the city’s light rail service. Two new rail lines are expected to open later this year, possibly in September or October. To have enough trains to run timely service, Metro needs most – if not all – of the new rail cars to increase its fleet from 37 to 76. See here, here, and here for the background. As I’ve said before, I think Metro can muddle through with a shortage of trains for a little while, but the longer it goes the worse it gets, especially if the endpoint is unclear. At this point, I hope they’re warming up the lawyers, because however much oversight Metro may exercise at this point, I have a feeling they’re going to need to enforce some consequence clauses in their contract. The company building Metro’s new trains will deliver the final car to Houston five months late, according to a revised schedule submitted to the transit agency. The Metropolitan Transit Authority is reviewing the schedule, spokesman Jerome Gray said, and hasn’t agreed to the new timeline. The revision was one of the promises the rail car builder, CAF U.S.A., made when the company acknowledged substantial delays in production in January. Rather than deliver the last batch of 39 train cars in August, the company now expects to deliver the last train in January. Production problems with the first railcar, sitting at Metro’s south Houston rail maintenance facility, led to substantial delays in production. Workers at CAF’s facility in Elmira, N.Y., are building the second car now, with a fix to a troublesome water leak that led to the problems on the first car. Once the second train passes its tests, and the fix is verified, production will accelerate. To catch up and deal with other production issues, CAF is expanding its plant, but it still will not meet the contractual deadline to deliver the trains. Under the deal signed in 2011, Metro should already have 16 trains in Houston ready to test and start service. The new train cars are critical to starting service on the East and Southeast lines, set to open later this year. Without the trains, Metro plans to start limited service on the two new lines by taking trains off the Red Line. Reducing double-car trains to single cars on the Red Line will lead to severe crowding, officials and riders said. Based on the revised schedule, Metro would have 21 rail cars by the end of September, when service on the lines could begin. Not all of those trains can immediately enter service, however, as they will need testing and final assembly in Houston. See here and here for the background. That’s longer than I’d have liked for this to take, but at least there’s a target date. Other than having to temper our expectations for the ridership numbers in the first few months of service, and continuing to be prepared to sue if necessary, I don’t know that there’s anything else to be done but wait and hope this time they mean it. Metro ponders its options for dealing with potential delays in the delivery of new railcars. Currently, Metro tethers two cars together most of the time on the decade-old Main Street line to ensure sufficient capacity. Officials acknowledged that the decision would frustrate riders, likely leading some to abandon using the line. Officials are waiting for 39 new railcars from the manufacturer, CAF U.S.A., but they still don’t know exactly when the cars will arrive. At least two are likely to be in service by September, Metro officials said. The company is months behind a schedule that calls for it deliver the final car by September, and it has yet to deliver a viable vehicle. The first car to arrive in Houston came in December – five months late – and still hasn’t passed a key leak test. The train also exceeds weight specifications, meaning it will cost more to operate. Metro’s board met Wednesday to examine options for operating the new East and Southeast lines and the existing Red Line with the agency’s 37-train fleet. Both new lines are on pace to open in September, said David Couch, vice president of rail construction for Metro. To have trains arrive every 12 minutes on the two new lines, and assuming no CAF cars arrive by opening day, Metro will have to pull 10 trains from the current route. See here for the background. Assuming that the two that Metro thinks are likely to show up on time do so, then eight cars will need to be diverted. If “at least two” turns out to mean “more than two”, so much the better. On the other hand, any unexpected maintenance will be that much more disruptive. I don’t see how Metro has much choice for how to deal with this in the short term, so it’s really just a question of how short the short term is. A month, maybe two months, to get enough cars in so that the Main Street line doesn’t need to be cannibalized any more, that’s probably not a big deal. Longer than that, especially if the deadlines are fuzzy and promises get broken along the way, that’s a problem. Other than be prepared to sue for damages if it comes to that, I don’t know what else Metro can do about it right now. Actually, I don’t, but Metro does. The company building 39 new Metro railcars has yet to deliver an acceptable vehicle almost six months after the original due date, potentially delaying full service for rail lines scheduled to open later this year. The first car hasn’t passed a required water leak test and exceeds the maximum weight specified in the builder’s contract with the Metropolitan Transit Authority. In a Dec. 30 letter to CAF USA, the American subsidiary of the Spanish train-building giant, interim Metro CEO Tom Lambert demanded that the company explain how it will deliver all the cars by the Sept. 25 deadline. “It is imperative that CAF demonstrate to Metro that it is seriously willing and able to meet its obligations,” Lambert wrote. Metro is withholding a $12.8 million payment until an acceptable rail car is delivered, he wrote. Continued delay would leave Metro officials with options for opening the lines on time, but possibly not on a full schedule. Fewer railcars ready to hit the street could mean that trains operated less frequently or failed to cover the entire route. The railcar manufacturer is now promising swift action to get this resolved. Remedying the leak, which was minor, is necessary before the car can enter service by undergoing weeks of on-track testing, interim Metro CEO Tom Lambert said. Additional cars might come at a brisker pace. Manufacture of the cars will accelerate as CAF U.S.A. expands its Elmira, N.Y., plant, Arizkorreta assured Metro. Officials said they were pleased with the quick corrections. 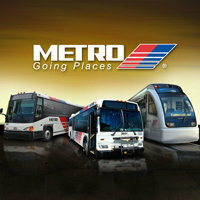 “I am convinced this is moving in the right direction,” Metro chairman Gilbert Garcia said. About 100 workers will be hired specifically to handle Houston railcar building, roughly doubling the staff now handling the order. 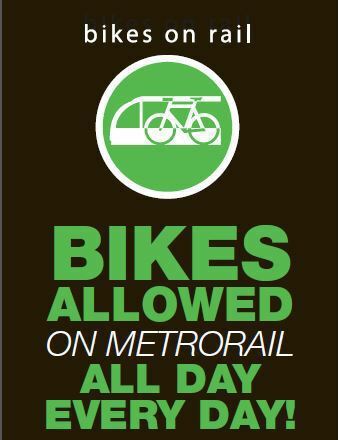 CAF agreed in writing Thursday to give Metro a revised delivery schedule by Feb. 15. That all sounds good, but the weight issue remains a problem. It’s not clear how that will be fixed. I’m going to be optimistic and say that this will mostly get worked out before the Southeast and Harrisburg lines open, but we’ll know more in a month. I hope it doesn’t cause any operational problems, or force reduced frequencies when the new lines open. Metro had already set its schedule back by a year after nearly blowing its Full Funding Grant Agreement due to the shenanigans of previous CEO Frank Wilson, who was trying to circumvent the FTA’s Buy American requirements. It’s possible that in the absence of those requirements, or at least in the absence of Metro trying to get around them and getting caught at it, that we’d be farther along now. Nothing can be done about any of that now, so let’s keep CAF’s feet to the fire and hope they have good news in February. B-Cycle has been in Houston for nine months, having launched in early April. So far, it’s done pretty well. The B-Cycle system’s 29th station was christened earlier this month in front of Clayton Homes. Officials said they hoped to provide new customers for bike-sharing and new opportunities for low-income families. “The more you use the bikes, the more excited you become,” said Tory Gunsolley, president of the Houston Housing Authority. In many U.S. cities, bike-sharing has become popular mainly among people who choose to bike for recreation. Critics say bike-sharing hasn’t reached low-income neighborhoods, however. Houston’s build-out didn’t push into poorer neighborhoods, but it didn’t start in wealthy enclaves either. From three downtown stations, the system pushed south and west into Midtown, Montrose and the Museum District. It subsequently spread to the Heights, Eado and the Northside. Houston will put B-Cycle kiosks where it can, when it can, as corporate partnerships and funding allow, said Houston Sustainability Director Laura Spanjian. She said having stations at the University of Houston, Rice University and Texas Southern University will be the next important steps. “We want to double and triple this program and I know that we can do that,” Spanjian said. Connecting the bikes with communities that need transportation is part of the strategy, Gunsolley and Houston B-Cycle director Will Rub said. The bikes could be an asset for people who need to travel a few blocks and don’t want to wait for a bus or ask someone for a ride. Use of a kiosk near Project Row Houses, a Third Ward arts group, has been brisk, said Assata Richards, community liaison for the group. “They use it to go to the grocery store, they use it to get around the neighborhood,” Richards said. Looks to me like the Project Row kiosk is a short ride away from the planned Southeast Line station at Elgin and Scott. That will be an excellent location for future kiosk, since it will make the Southeast Line more accessible to these folks. If the Universities Line ever gets built, a kiosk by the TSU station, at the west end of campus, would serve a similar purpose, just on a much farther out timeline. You know me, I’m all about linking bikes to transit. Two connected networks are better than two separate networks. There’s already a kiosk near the Dynamo Stadium light rail stop, which is the nearest neighbor to the Runnels location, so it’s already networked. Ridership of Houston’s bike-sharing system, Texas’ first, continues to grow. After a quick expansion from three to 27 kiosks in less than a year, ridership jumped. Use peaked in July with 7,225 checkouts but fell to 4,053 the following month before rebounding slightly. “The heat in August had an impact on the leisure riders primarily and the cold and wet weather in late November had a similar impact,” Rub said in an email. I have not used my B-Cycle membership as much as I would have liked. My plan was mostly to use it during lunchtime to expand my dining options and also possibly for certain types of errands. I have done those things, just not very often. One obstacle that I haven’t figured out how to overcome is the helmet. I don’t like riding without one, so I have to plan to bring my helmet with me to the office if I plan to ride later. That has its own logistical issues, as I’m sure you can imagine. I do want to ride more as the weather warms up, so I need to get that sorted out. Can we wait until we’ve had at least one non-holiday work week before we start talking about North Line ridership numbers? Thanks. The changes brought by the rail line, an extension of the Main Street Line now known as the Red Line, might develop more gradually than some residents and businesses hope. Early signs are that riders are flocking to the train. On opening day, when rides were free, Metro estimated 22,054 total boardings, a 59.8 percent increase over the Saturday average for December 2012. This occurred despite sprinkles of rain and an otherwise dreary start to the day. Officials estimated about 4,500 of those boardings were along the North Line extension. Bus Route 15, which the light rail extension replaces, averaged 1,637 Saturday boardings in October, the latest month for which figures are available. Ridership was brisk during Christmas week as curious residents hopped aboard and frequent transit riders checked out the extension. In the documents filed with the FTA in 2009, Metro projected an average weekly ridership of 17,400 daily boardings for the new North Line. That was a projection for 2013, when it was presumed that the line would be operational by then. Let’s assume that’s our projection for 2014. For comparison, the average weekday ridership for the Main Street line was 38,000 daily boardings for the twelve month period running through October. My suspicion is that the 2009 estimate of opening year daily ridership on the North Line will be a bit optimistic due to the Harrisburg and Southeast lines not being operational, but that the totals will rise next year once those lines are up and running. The Southeast line, by the way, had a nearly identical projection of 17,200 average weekday boardings for 2013 back in 2009. The Universities Line, if it ever gets built, has a projection of 32,100 average weekday boardings for an opening year of 2020. The Harrisburg line is funded solely with local money, so there’s no FTA documents for its projected usage, and I couldn’t find anything with some cursory Google searching. One thing Metro could do a better job of right now is communicating how the “extension” part of the North Line actually works. Beyond the Northside itself, using the trains takes some adjustment. Trains run every six minutes during most of the day between the Fannin South station, south of Loop 610, and the Burnett Transit Center north of downtown. North of Burnett, trains run every 12 minutes, meaning half of them turn around at Burnett while half continue northward. Some riders, unaccustomed to this variation, are finding it difficult to catch the right train. The schedule is designed to accommodate the line’s ridership without Metro putting too many trains in service, according to David Couch, the transit agency’s vice president for rail construction. As use of the trains increases, he said, wait times will shorten. The trains rolling through the Northside will pick up more riders when the two lines headed east and southeast of downtown begin service next year. Already on the Northside, riders say they want to see more tracks. As it happens, Tiffany rode the North Line home from work on Friday, having dropped her car off at the mechanic on the way in. She was on one of the trains that turned around at the Burnett station. Unfortunately, according to her, there was no announcement that passengers needed to disembark – the conductor turned off the lights and exited the train without saying anything – and Metro personnel at the station were uninformed about the situation. She eventually figured it out and caught another train for the remainder of her trip, but it would do Metro and its new riders a lot of good to be very clear about what to expect when you reach the Burnett station. Let’s please not have the next story about the North Line be one whose subject is confused riders who are upset about not having the route properly explained to them, OK? On another note, the North Line is providing an opportunity to measure the effect of transit on health in Houston. Now that Metro’s North Line has opened, researchers at the University of Texas Health Science Center at Houston and the Texas A&M Transportation Institute are preparing to begin taking the pulse – figuratively, not literally – of the light rail line extension’s impact on physical activity. Kohl said the answer is particularly hard to know in a car-crazy place like Houston, which doesn’t seem a ripe candidate for the sort of active culture one sees circulating around mass transport in, say, Boston, New York, Portland or San Francisco. If the study finds a significant increase in physical activity, Kohl said, it could be used to help design future rail lines, principally in Houston, but also in other cities. He said the idea should be to incorporate practical destinations – places to work, shop, worship – that encourage people to make the lines part of their everyday lives. I have no doubt that I was in the best shape of my life in high school, when I was commuting by bus, ferry, and train each day. I didn’t have to walk more than a few blocks at any point, but there were multiple points at which I did have to walk, and several of them involved going up or down stairs. Do that twice a day, five days a week, usually in a rush because you don’t want to miss the next connection, and you’d be in pretty good shape, too. I doubt anyone’s experience will be like that here in Houston, but making daily walks a part of one’s routine surely can’t be bad. I’ll be interested to see if any differences are detected. Of course, the whole idea of any form of transit is to incorporate practical destinations – no one would use it otherwise – but if there’s a measurable health benefit as part of the bargain, that would be nice. What can we do to get the Universities Line going? This story is about the opening of the North Line, but it’s also about where Metro goes from here. The opening of the lines won’t spell the end of the construction. To complete the final mile of the East Line, Metro must build an underpass at Harrisburg and 66th Street at the Houston Belt & Terminal railroad tracks. The agency struggled to accommodate neighborhood concerns and figure out what it could afford, leading to delays. The final mile will open in December 2015 at the earliest. The fate of the planned University Line, between the University of Houston and the Westpark Tollway, is even less certain. Metro officials haven’t detailed how they plan to pay for its construction. Earlier this year at Metro’s behest, city officials designated Richmond as a transit corridor, limiting new development that encroaches on the ability to add a rail line without committing officials to any decision or affecting current buildings. On Thursday, Metro board members extended the contract for design of the University Line for another year, to Dec. 21, 2014. The extension did not increase the fee to engineering firm AECOM, though the contract has been amended and the fee increased 10 times. Since 2006, the design contract for the University Line has grown from $17.2 million to $50.8 million, of which $3.7 million remains unpaid. The added time gives Metro a chance to adjust the designs if necessary, interim CEO Tom Lambert said. Some Metro board members suggested the agency might be throwing good money after bad. “We know that line can’t be built, or by the time we have it built, all that work will be obsolete,” board member Jim Robinson said. Board member Dwight Jefferson said Metro should build what officials said they would when they spent money to study the route. “If we can save it, that’s what we need to be looking to do,” Jefferson said. Light rail continues to face vocal opposition from property owners along Richmond, especially west of Shepherd Drive. Rep. John Culberson, a Houston Republican who represents the western area segment of the route, has consistently opposed federal money for the project. Washington has its own set of challenges funding transit projects. Still, [Federal Transit Administrator Peter] Rogoff said federal officials will consider helping Houston when it’s ready for its next light rail line. Technically, the University Line application is already filed with federal transit officials. The North Line extension had a successful opening on Saturday despite the lousy weather. The political situation, by which I mean Rep. Culberson and his fanatical opposition to rail on Richmond, is unlikely to change anytime soon. The need for the Universities Line hasn’t changed, either – if anything, it’s more urgent now. We can’t wait for Culberson to retire or lose or get redistricted out of this part of town. What can we do in the meantime to move the ball forward? One possibility is to start building the portion of the line that isn’t in Culberson’s district. That would run from the Eastwood Transit Center to Shepherd. That would provide connectivity to the Main Street and Southeast lines as well we better access to UH and the Third Ward. The Richmond portion of that truncated line falls within Rep. Ted Poe’s district, and as we know, Rep. Poe supports construction of the Universities Line because his constituents support it. With Rep. Poe behind this, one would hope that getting federal funds would be possible. On the other hand, chopping the line in half like this may well invalidate all of the previous filings and approvals Metro now has for this project, and might require Metro to start from scratch and do them all again. Given that ridership would surely be a lot lower for this partial route, there would be no guarantee that it would even qualify for FTA funds. It’s worth exploring, but only worth pursuing if it doesn’t represent a step backward. Another possibility is to commit to building the whole thing, but only seek federal funding for the eastern half of the line, unless something changes to make funding the western half of the line feasible. That would of course require a large amount of local funding. To my mind, that local funding should come from Metro, the city of Houston, and Harris County. How likely that is I couldn’t say; when I bring it up to other people, the reaction I usually get is to be asked if I also believe in the tooth fairy. It might not be fiscally possible even if you accept the premise that Harris County could be persuaded to play ball. The FTA might not think this is such a hot idea, either, and even if they did Culberson could fight against it even though he’s made a point of saying that he has never opposed funding for rail construction that wasn’t in his district. I’m just throwing out ideas here, I don’t claim to have all the details worked out. Look, I recognize that these ideas may be completely unrealistic. There may not be anything that can be done under current conditions. But the need is there, whether a plausible path forward exists or not. We need to be talking about this, with the understanding that this really matters and we need to figure it out one way or another. The Universities Line, when it is finally built, will do a lot to enhance mobility in a part of town that desperately needs the help. It will facilitate travel in neighborhoods that are already dense and heavily congested and getting more so every day as one new highrise after another gets developed. It will provide a critical link between east and west, and when the Uptown Line is completed it will make traveling to the Galleria and its environs a lot less nightmarish. Maybe once we start this conversation we’ll also remember that there are other routes on the drawing board that ought to be back in the conversation, like the Inner Katy line and the US90 commuter line. Again, the need is there, and it won’t go away if we don’t do anything about it. So what are we going to do about it? Metro officials on Thursday scaled back plans for an iconic downtown Houston transit hub where three rail lines will cross after board members grew frustrated with what they called inexcusable delays and cost overruns. Faced with a proposal to modify a design after investing time and money, board members instead chose the cheaper option of spending $1.05 million to build a basic canopy. That’s still $450,000 more than they budgeted for the hub, located between Capitol and Rusk along Main. The block will be a major crossing of the Main Street Line, which opened in 2004, and the East and Southeast lines slated to open in late 2014. Because of its status as the transfer point from the rail lines, Metro officials wanted to brand the stop with a larger canopy and features that drew attention to the rail line as a special downtown asset. “This is the kind of thing where if you look at successful transit systems, they are not bare-bones systems,” board member Christof Spieler said. Metro officials solicited teams to propose iconic designs and assembled a jury to choose a preferred plan. The panel made its recommendation on schedule in February 2012, but Metro did not ratify the winner until September 2013, 18 months later than planned. Interim CEO Tom Lambert said officials still were piecing together exactly how the station planning got off course. By the time officials started assessing the cost overruns and timing, Lambert said, they found themselves in a predicament. Clearly, someone dropped the ball, and no one noticed it lying there on the ground until it was too late. Not having it – having it replaced by a more mundane canopy – won’t break anything, but Spieler is right that successful transit systems have character to them. If you’ve ever used New York’s subway system, especially at certain stations, you know what I’m talking about. Perhaps it’s still possible to salvage something out of this – the firm that submitted the winning design is still committed to it and has been trying to rejig it to lower the cost – but that may require someone with deep pockets to step in and clean up the mess. Let’s hope Metro figures out what happened and makes sure it doesn’t happen again. The Highwayman and Swamplot have more. Congress has appropriated $189 million for two of our light-rail lines – the North/Red Line extension and the Southeast/Purple Line. Each line will receive $94.5 million. The funds are part of the $900 million Full Funding Grant Agreements signed by federal officials in November 2011. METRO Board Chairman Gilbert Garcia called this appropriation vital. “This is another key development in our progress towards building light rail for Houston. We want to extend thanks to our Congressional delegation and the many people who have supported efforts to improve the METRO transit system,” he said. We expect to begin receiving this latest appropriation within the next 30 days. We’ll be spending the money to complete the 5.3-mile extension of the North/Red Line, which is an extension of our current Main Street Line. We’ll also be using the funds to build the Southeast/Purple Line, a 6.6 mile-line traveling through historic African-American communities, connecting to Texas Southern University and the University of Houston. “Congress is giving us a critical tool with this funding, and we are taking every step we can to make sure these dollars are well spent,” said Tom Lambert, METRO interim president & CEO. The North/Red Line is scheduled to open in December, and the Southeast/Purple Line and the East End/Green Line are expected to open in 2014. The locally-funded East End/Green Line is 3.3. miles, running from downtown to Magnolia Park Transit Center. Here’s more on the full funding grant agreement they received from the FTA in 2011. Metro received a similar amount of money in 2012. Nice to know Congress isn’t so dysfunctional yet that simple stuff like this gets derailed, no pun intended. On a tangential note, The Highwayman ponders the question of how much a ride on a Metro bus or train should cost. Two concepts seem to bog down any debate about buses and trains. 1. Transit doesn’t pay for itself. 2. The fare system is terrible, so we should just make it free and then more people will ride it. As a story in Monday’s paper pointed out, the Metropolitan Transit Authority is planning to make all buses and trains free for Labor Day weekend. The agency hopes to lure some riders to try the bus, and it hopes some of them will stay. Many transit agencies do the same thing. So does Netflix. It’s a marketing tool, and the reason I used AOL CDs as drink coasters in college. It also opens up discussion of the two points noted above, which seem stuck in already-drawn conclusions. Both premises miss the point of what transit is about and compare it to things it really isn’t. Public transit agencies are not businesses, they are governmental entities. Even in the best of cases, like New York and San Francisco, the systems do not pay for themselves. Neither do roads, libraries, parks or other amenities that some people think make a community more livable. Based on 2011 federal data, fares pay for 19 percent of Metro’s operating budget. That’s higher than any other major public transit system in Texas, but far lower than more robust transit systems on the coasts. We score about as well as Phoenix, which like Houston isn’t exactly a transit town yet. On the other hand, Metro can’t just give it away, though some people argue that fare evasion on light rail is so rampant that the rides might as well be free. Federal officials want to see local officials make some effort to help pay for the system. I discussed the matter of eliminating fares here; short answer, I think making transit free would cause it to be stigmatized by certain elements as a form of welfare, and that would ultimately be very bad for the concept of mass transit. I don’t have a problem with Metro doing the occasional free-ride promotion, but I think its plans to redesign and extend the bus system will be much more successful at boosting ridership; the addition of the three new rail lines will help, too. I carpool with my wife downtown these days, but I wind up taking the bus home about once a week because she needs the car after work for various errands. It’s convenient and fairly quick, and having that option prevents us from doing stupid and wasteful things like driving (and parking) two cars downtown. I commuted by bus, ferry, and subway for four years of high school in New York, so this idea isn’t strange to me. I think many people are reluctant to be without their car under any circumstances, and that’s an obstacle to be overcome if we want more transit usage in Houston. A lot of younger folks are not getting drivers licenses these days, at least not as early as folks my age did, so perhaps there will be a generational effect to help boost Metro a bit. I wouldn’t expect to see much of that anytime soon, however.